Disney World has announced an exciting brand-new After Hours Event! If you are a fan of the Disney Villains then get excited! 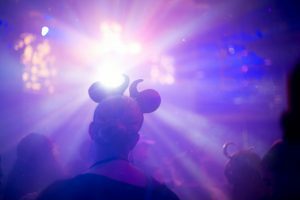 This new After Hours Party at Magic Kingdom will revolve around all things Disney Villains! Tickets for this new event will go on sale on April 29. This wickedly fun special event will be offered on select nights this summer from June 6 to August 8! Meg from Hercules joins Hades to host this show. Hades sits atop his dark throne awaiting the alignment of five planets, following a prophecy that states when the five come together he will be able to rule the universe. However, like any good story this dastardly plan doesn’t go quite as planned! An entire assemblage of Disney Villains interrupts his party! In this villainous crew, you will see Jafar, The Queen, Dr. Facilier and Maleficent arrive with henchmen in tow. These Villains are prepared to demonstrate their powers with some thrilling displays of skills. These gang of Villains have also heard the prophecy and believe THEY are the ones who will rule all. As you can image the story will get very intense with this twist! The brand-new show is going to be more than 20 minutes long! This will be one incredible stage show! Villains Unite the Night will have three showings during each event, giving all party attendance the opportunity to watch these Villains rule the stage! If you have been to Magic Kingdom Park during the daytime recently then I am sure you have seen Disney’s Festival of Fantasy Parade! This happens to be my favorite parade Disney has ever done! If you are familiar with the Festival of Fantasy parade then you will know that one of the floats is a gigantic Maleficent Dragon! 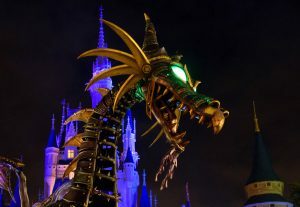 During this special after hours event, the Maleficent Dragon from Festival of Fantasy, will be let loose at night for the first time! She will be breathing fire as she creeps through the park with her minions as she makes her way to join the party at the Central Plaza! Past the castle forecourt, ominous lighting and music will be found throughout various areas of the park. There will even be attraction overlays! In Tomorrowland, the Villains will invade Space Mountain, taking brave travelers on a villainous trip they are sure not to forget. This overlay will feature a new music underscore and the vilest Villains taunting you as you whiz by. I am very intrigued to find out what this exciting overlay will consist of! Meanwhile over in Adventureland you will find a live crew of scurvy scalawags having invaded Pirates of the Caribbean in search of treasure. This reminds me of what Disney did at Pirates of the Caribbean during last year’s Mickey’s Not So Scary Halloween Party! During the event, they had live actors in the attractions queue as well as in the attraction itself! This was a highlight for me at the Halloween Party, so I am very excited Disney is doing something along these lines during this brand-new after hours event! No party is complete without great food! Disney Villains After Hours will feature some wickedly good food and beverage offerings! Additionally, you will be able to find special event merchandise made specifically for this brand-new party! 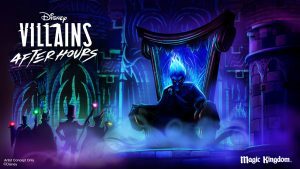 Another perk of Disney Villains After Hours will be the low wait times at more than 20 attractions and experiences across the park! Just like with the other after-hours events and parties there are a limited amount of tickets sold, meaning you can enjoy the parks with limited crowds! All of this excitement and thrill adds up to a one-of-a-kind party! Tickets for Disney Villains After Hours will be available for purchase on April 29. The cost is $139 plus tax in advance or $144 plus tax on the event night. This party sounds like such a unique and fun new offering! I can’t wait to check it out! 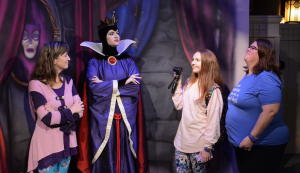 Contact your Kingdom Magic Vacations Travel Planner today to plan your summer vacation at the Walt Disney World Resort so you can experience Disney Villains After Hours as well as all the other summer fun for yourself! 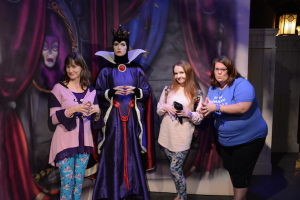 This entry was posted in Disney News, Disney Special Events, Magic Kingdom, Walt Disney World, Walt Disney World Resort - Orlando and tagged disney, Disney After Hours, disney party, Disney Villains After Hours, disney world, magic kingdom, Walt Disney World on April 18, 2019 by Megan Przychodzien. Harry Potter fans get ready! 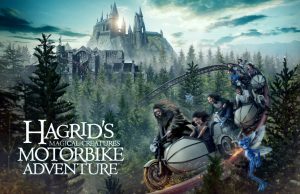 Universal Orlando has revealed more details about the magical creatures that we will soon be able to encounter on Hagrid’s Magical Creatures Motorbike Adventure. This brand-new Harry Potter attraction will open on June 13 in The Wizarding World of Harry Potter – Hogsmeade at Universal’s Islands of Adventure. This new ride will be the most immersive, highly-themed coaster experience ever! This epic coaster will take you on a thrilling journey with Hagrid to the Forbidden Forest where you will discover the wizarding world’s rarest magical creatures. This attraction’s opening is just around the corner and we can’t wait to experience it in person! 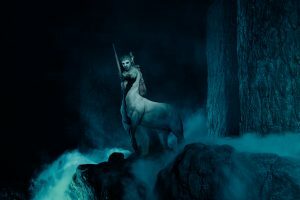 Universal is revealing an exclusive look at some of the creatures we will get to encounter on the ride including a very rare creature that has never even been seen in the films. Universal plans to reveal a new creature each day in the coming weeks. 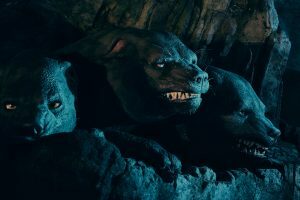 These sneak peaks we now get to see are the perfect way to prepare for the mystical things we will be encountering during our trip into the Forbidden Forest as part of Hagrid’s Care of Magical Creatures Class. Our fourth creature is a majestic being not to be confused with a horse or human. A Centaur is a magical creature with a human head, torso and arms, joined to a horse’s body. They are, however, their own species and should be treated with great respect. As we make our way into the dark forest on Hagrid’s Magical Creatures Motorbike Adventure, we need to be on the lookout for this mysterious archer in the distance ready to strike. He stands at 8 ft. tall, which would probably make him a great athlete in the Muggle world! 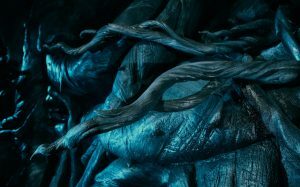 Even though Devil’s Snare is not a creature, we couldn’t pass up the opportunity to mention this perilous plant from the wizarding world! This rare plant often strangling people who touch it with its dexterous vines. Devil’s Snare flourishes in damp, dark environments and it has a strong dislike of light and fire – remember that on your journey! Devil’s Snare is one of the many challenges we will face on Hagrid’s Magical Creatures Motorbike Adventure. We hear we might even find ourselves entangled in a thicket of this dangerous plant! However it is important to remember to remain calm! If we don’t, we may end up entangled in hundreds of its vines! Cornish pixies are electric blue tricksters who love to create mischief, often at the expense of others. These mischievous creatures fly, and have also been known to seize unwary humans by the ears and deposit them at the tops of tall trees and buildings. You may remember from the Harry Potter films this happened to Neville Longbottom. 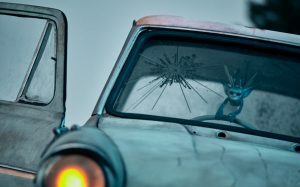 In Hagrid’s Magical Creatures Motorbike Adventure, we will see these troublesome creatures wreaking havoc on an infamous blue car… and in places we may not expect. They’re about 13 inches tall and we will find more than 20 pixies throughout this adventure. 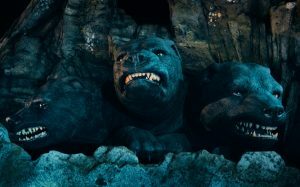 Fluffy is a giant three-headed dog that’s known for being the trusted guard dog of the Sorcerer’s Stone. As you may know, Fluffy has a weakness, he falls asleep to the sound of music. In Hagrid’s Magical Creatures Motorbike Adventure, we will confront this gigantic, beloved creature deep in the Forbidden Forest. In this brand- new adventure, Fluffy weighs 8,000 Ibs., which is roughly as big as two standard Muggle cars! With this exciting new Harry Potter attraction opening early THIS SUMMER, now is the perfect time to contact your Kingdom Magic Vacations Travel Planner to plan your family’s summer vacation to the Universal Orlando Resort! This entry was posted in Islands of Adventure, Universal Orlando Resort, Universal Studios Orlando, Wizarding World of Harry Potter and tagged harry potter, islands of adventure, The Wizarding World of Harry Potter, Universal, Universal Orlando, universal studios, universal studios florida on April 18, 2019 by Megan Przychodzien. 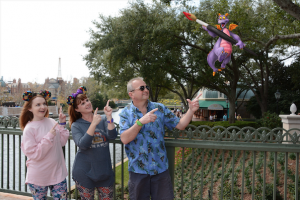 Throughout the Walt Disney World Resort, you will find that the Disney PhotoPass service has a big presence! At all the prime most photogenic locations in the parks Disney PhotoPass Photographers can be found ready to capture pictures of guests! 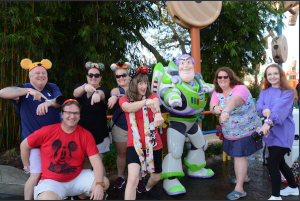 The Disney PhotoPass Service allows you to get everyone in your party in the picture by having a Disney trained photographer capture that perfect shot with a high-resolution Nixon DSLR camera. If you wanted to purchase each photo that you loved individually it would be an extreme up charge! Thankfully there is a much more economical package that will provide you an amazing value, Disney’s Memory Maker! Disney Memory Maker package gives you full access to the Disney PhotoPass service with UNLIMITED digital downloads! That’s right, unlimited! You can download all the photos you want for the entire duration of your Disney World Vacation! 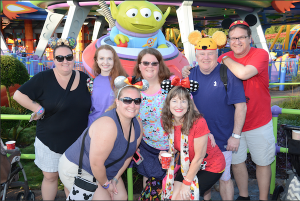 I love having the Memory Maker on all my Disney World Vacations and today I am excited to share with you a few of the reasons why Memory Maker is such a valuable add-on to your Disney Vacation package! With Memory Maker, you have paid one flat rate and now you can get UNLIMITED PHOTO DOWNLOADS! You could literally spend the entire day doing nothing but taking pictures and you would be able to save them all! Your photos appear within minutes in your ‘My Disney Experience’ App and you can download them right to your phones camera roll with the click of a button! You can also access your account on a computer and download and even print your pictures that way! How many times have you taken a photo with your family and always ended up missing one member of your group in the shot because they ended up being the one who had to take the picture?! 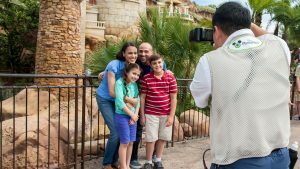 With utilizing the Disney PhotoPass Service you are allowing the Disney Photographers to capture your family photos meaning the whole family can actually be in the shot! Disney PhotoPass Photographers are at all character meet and greet locations! The Disney Photographers do a great job of taking those super cute posed pictures as well as capturing some really awesome candid shots during your interactions with the characters! With Memory Maker, in addition to getting all your photos from in the parks and character meet and greets, you also get all of your ride photos included! These candid captures are so much fun and can sometimes be pretty hilarious! Additionally, with all the great photos that you will be collecting on your ‘My Disney Experience’ account you will also find some videos! 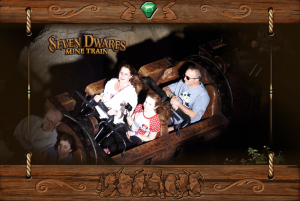 On select rides such as Seven Dwarfs Mine Train and Tower of Terror in addition to an on-ride photo the PhotoPass Service also creates an on-ride video! These are so cool! There are even some videos that are generated from your still photos that show some Disney characters dancing across the frame, or tinker bell flying overhead! These video downloads are all included with Memory Maker! 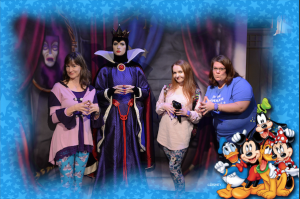 Speaking of a little extra Disney Magic in your photos, the Disney PhotoPass Service will overlay Disney characters into your photos with ‘magic shots!’ Your Disney Photographer might even tell you how to pose or react to create these awesome pictures! Once again, these downloaded are all included with Memory Maker! 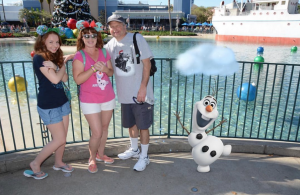 Another really fun thing you can do with your PhotoPass captures is actually make edits to the images yourself! Right in your My Disney Experience account, you can apply filters and even add special Disney stickers and boarders! Some of these graphics are even exclusive to the area of the park the image was captured in! For example, in Toy Story Land, any images captured here can have stickers of Toy Story characters added on! There are even boarders and graphics that relate to specific events such as the Epcot International Food and Wine Festival! You can even select boarders related to holidays! Image creating next year’s Christmas card using an adorable Disney holiday boarder! Memory Maker is $169 when purchased in advance and $199 when purchased for use immediately. That’s why we recommend purchasing your Memory Maker before you leave for your trip so you can save the most money. Trust us as soon as you get to the parks you will be wishing you had this awesome feature. We feel that the Memory maker is an incredible value and very well worth the money. Think of it this way, you will blow through $169 so fast at Disney buying tee-shirts and random souvenirs. Your vacation photos are a souvenir that will truly last forever and your family will never outgrow! Your Kingdom Magic Vacations Travel Planner can answer all of your questions about Disney’s Memory maker as they help you plan your dream Disney World Vacation! We are passionate about helping families create lifelong vacation memories! Contact your Kingdom Magic Travel Planner today! This entry was posted in Animal Kingdom, Disney Vacation, Epcot, Hollywood Studios, Magic Kingdom, Vacation Destinations, Video, Walt Disney World, Walt Disney World Resort - Orlando and tagged disney, disney memory maker, Disney PhotoPass, Disney vacation, disney world, memory lane, photopass on April 18, 2019 by Megan Przychodzien. Summer is right around the corner! For me something that always reminds me of summer nights is a bonfire! Gathering around, talking, relaxing, roasting marshmallows and just enjoying a warm summer’s evening! You will soon be able to experience that feeling year-round at the Universal Orlando Resort! 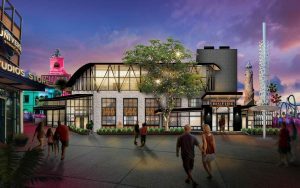 Soon you will be able to enjoy a relaxing night out with delicious open-fire cooking at Universal’s CityWalk! 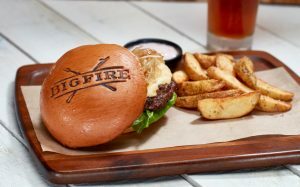 Bigfire, will be the newest, full-service restaurant making its way to CityWalk. The restaurant draws inspiration from the nostalgia of cooking over open flames during memorable family vacations! Your visit to Bigfire will leave you feeling as though you just stepped into a lakeside summer house! The restaurant creates an atmosphere reminiscent of summer evenings spent by the water, surrounded by family and friends! Let’s talk about the theme at this amazing new restaurant! Bigfire’s home will feature a two-story venue which will include natural design elements of mix and matched fabrics and seating, cast iron, twinkling lights and camp lanterns! There is even a canoe suspended from the overhead rafters to complete the outdoor atmosphere inside the restaurant! This place is going to be the perfect spot to unwind and relax after a fun-filled day in the Universal theme parks! Now let’s talk about everyone’s favorite thing – the food! At the heart of the restaurant will be a custom wood fire grill where chefs will prepare signature dishes inspired by the style of open-fire cooking! However, this traditional cooking style will be done with a significant and very modern twist! 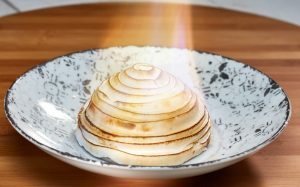 Inspired by the way food would be prepared on an open campfire, chefs will carefully match each food with wood species that have been carefully chosen based on the flavor they exude. 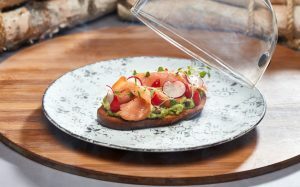 The result of this process creates a wonderful selection of delectable dishes, sides, desserts – and even cocktails – that all infuse the smoky spirits. The pairings will add bold flavors to create elevated American fare. 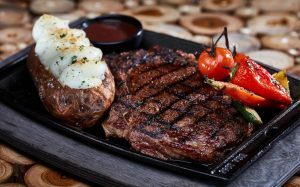 A few notable menu items will include a signature bison burger, coffee, chili and cocoa rubbed top sirloin, delectable freshwater trout, mouth-watering smoked salads and more! 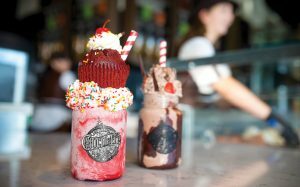 This new dining location will be found at Universal’s CityWalk between VIVO Italian Kitchen and Jimmy Buffett’s Margaritaville on the edge of the lagoon. This spot will offer incredible views of Universal’s CityWalk! An official opening date has yet to be announced but we do know that Bigfire will be planning to open sometime this summer! I cannot wait to check this new restaurant out! It sounds like the atmosphere will create much more than just a great meal, it will create an entire dining experience! Contact your Kingdom Magic Vacations Travel Planner today to plan your next visit to the Universal Orlando Resort or to any destination that you are dreaming of traveling to next! Like we said, summer really is right around the corner! Take this time to create lasting memories with your family! Our team is excited to help you bring your vacation dreams to life! This entry was posted in City Walk, Dining, Islands of Adventure, Universal Orlando Resort, Universal Studios Orlando, Vacation Destinations, Wizarding World of Harry Potter and tagged bigfire, CityWalk, Universal, universal city walk, universal studios, universal studios florida on April 12, 2019 by Megan Przychodzien. Our wonderful Kingdom Magic Vacations Travel Planner Jennie recently enjoy a wonderful day with her wife and niece at a local zoo! Jennie shared that being at the zoo made her think about Animal Kingdom! 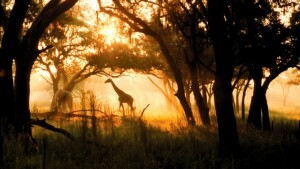 Animal Kingdom Park at the Walt Disney World Resort happens to also be one of my personal favorite parks! I love animals, so I could easily spend hours just strolling the park exploring the many animal viewing treks that call this park home. Another classic at Animal Kingdom is the Kilimanjaro Safari attraction! In this experience, you board a safari jeep and head out to Animal Kingdom’s very own wildlife reserve! You will feel like you have been transported to Africa as you encounter hippos, crocodiles, elephants, giraffes, lions and more! This is a must do experience at Animal Kingdom! Additionally, you can also find many thrills at Animal Kingdom! From having a close-call with a yeti on the forbidden mountain during ‘Expedition Everest’, to traveling back in time on ‘Dinosaur’, to braving a daring river voyage at ‘Kali River Rapids’, there are thrills for everyone to enjoy! 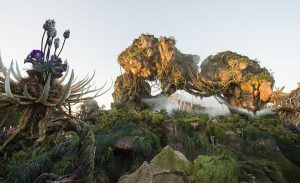 Animal Kingdom’s most recent expansion of Pandora the World of avatar brought with it a brand-new type of thrilling attraction, the chance to ride on the back of a banshee and soar across Pandora! This attraction is known as Flight of Passage! The best way to describe this attraction is one-of-a-kind! Technology like this does not exist anywhere else! This ride will make you swear you are really flying! If you enjoy Soarin’ over at Disney’s Epcot, just imagine that this attraction is like Soarin’ times a thousand! 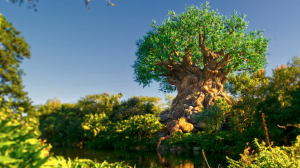 Jennie shared with us her Animal Kingdom top tip and it involves how you can guarantee to get to experience this incredible attraction for yourself! Since Flight of passage is so popular, there is always a VERY LONG wait time for this particular attraction! 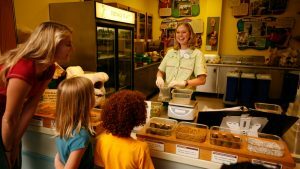 Jennie has an amazing tip that will let you bypass this wait and have more time to enjoy your day in Animal Kingdom! Jennie shared with us that her best tip when you stay on Disney World property is to take advantage of the perk of being able to book your fastpasses 60 days in advance! Guests not staying at a Disney World Resort can only book 30 days in advance, therefore when you can try to grab it at the 60-day out mark you have the best chance to secure one of the most coveted Fastpasses on all of Disney World property! 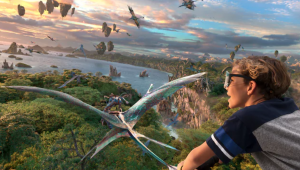 Be sure to grab your Fastpass as soon as you can and then you will be ready to take flight and experience Flight of Passage! Hear more about Jennie’s Animal Kingdom tip in our latest YouTube Video! Our Kingdom Magic Vacation team is excited to plan your next vacation to Walt Disney World or to any travel destination that you might be dreaming of visiting next! Contact us today! This entry was posted in Animal Kingdom, Disney Attractions, Disney Parks, Disney Vacation, Kingdom Magic Quick Tip, Vacation Destinations, Video, Walt Disney World, Walt Disney World Resort - Orlando and tagged animal kingom, Avatar, Avatar Flight of Passage, disney world, disney world tip, Pandora, Pandora World of Avatar, Walt Disney World on April 12, 2019 by Megan Przychodzien. 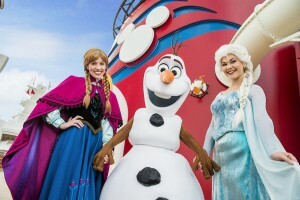 How to Have the BEST Disney Character Meet and Greet! Walt Disney World & Disneyland Character Interaction Tips! The Disney Parks are home to so many magical experiences, from world-class attractions and shows to Incredibles restaurants, there is something for everyone to enjoy! An aspect of your Disney Vacation that can create so many wonderful memories is Disney character meet-and-greets! Disney character meet-and-greets give you the opportunity to meet some of your favorite and most beloved Disney friends! This is the perfect time to take those amazing character photos and capture precious memories! 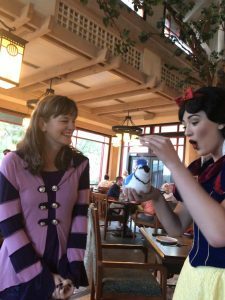 Character meet-and-greets can also really be attractions within themselves! You can find yourself having incredible conversations with the characters and these interactions are the ones that truly create life-long memories that you and your family will always cherish! 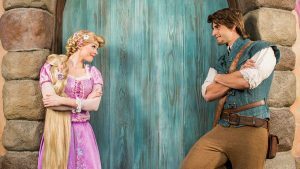 With this in mind, there are definitely some tips to keep in mind when going into a character meet-and-greet that will guarantee you will have the BEST meet-and-greet possible! When you know the best way to interact with the characters you will be able to enjoy so much more than just a quick “smile for a picture and move on”, you will feel like you and the character are best friends! 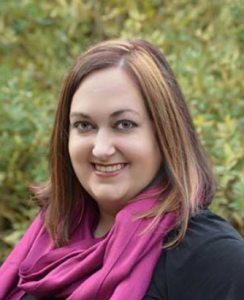 Our Travel Planners Karen and Alyssa recently sat down with Karen’s son Danny. Danny is a graduate of the Disney College Program and previously worked in entertainment at the Walt Disney World Resort! He got to become close friends with several Disney characters! Through his experience, he has gained so much knowledge about what makes a character meet-and-greet truly magical! Danny shared his 6 tips to have the BEST character meet-and-greets! 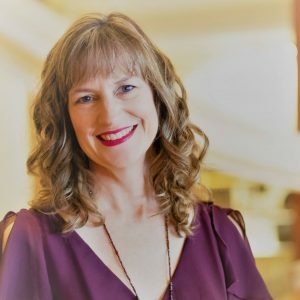 Treat the Character like a Friend – NOT like a Celebrity! Danny details that when you treat the character like an old friend rather than a famous celebrity you will create a much more relaxed meet-and-greet atmosphere which will allow you to engage in some more meaning conversations with the characters that create those really cool memories! Karen and Alyssa did a great job demonstrating an example of both and ‘ok’ and ‘AWESOME’ character meet-and-greet! You can see their example in the following YouTube video! Danny explains that a really unique way to interact with a character during a meet-and-greet can be to get into character along with the character. When you play into the characters story and acknowledge what you know from their world it can make for some really great interactions! This tip is a very important one. If you wanted to do something such as give a character like Pluto a pet on his head, it is smart to fist ask the character if that would be ok. This way the character is aware, Danny explains that it can sometimes be hard for the character to feel or see what you are doing, so getting this permission from the character is very important. Danny shares that one of the best ways to interact with the characters is by asking them questions about themselves! This sets up for really unique interactions! You can have very interesting conversations with many characters when using this tip! Danny also points out that with characters that are more quiet such as Chip and Dale it is a good idea to ask them some “yes” or “no” type of questions to help them best communicate. Another fun way to interact with the characters that Danny shared was to give the character’s gifts! These small presents can really make the character’s day and will create some very special interactions. Danny mentioned a great gift might be a home-made drawing that your kids created prior to the trip to bring to their favorite character! Danny shared that it truly means so much to the character when at the end of the interaction you give them a big hug and simply just say “thank you!” This can make the character’s day! To hear more about each of these tips and to see Karen and Alyssa’s awesome mock character meet-and-greet, watch our new YouTube video! 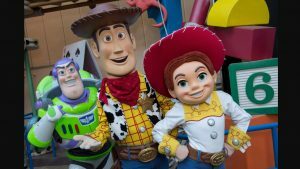 This entry was posted in Disney Attractions, Disney Dining, Disney Parks, Disneyland, Travel Tips, Vacation Destinations, Video, Walt Disney World, Walt Disney World Resort - Orlando and tagged disney, disney characters, disney parks, disney world, Disneyland, meet and greet, meeting disney characters, Walt Disney World on April 11, 2019 by Megan Przychodzien. 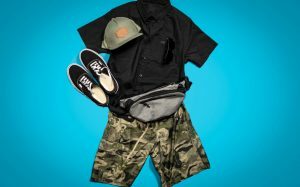 What to Pack in Your Disney Park Bag! 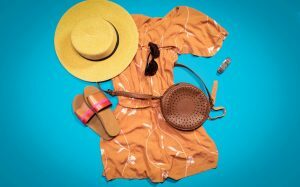 5 Tips for What to Bring with you to Walt Disney World! 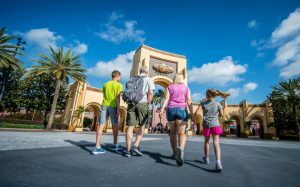 A frequently asked question when planning a Walt Disney World Vacation is “what do I need to bring into the parks?” We all wonder about the dos and don’ts when it comes to packing our bag for inside the Disney Parks. I have been visiting Disney World and Disneyland for years and I am still perfecting my perfect park bag formula! It is great to learn from other frequent park-goers their tips and tricks when it comes to what to bring to the Disney Parks and the type of bag you should plan to use! 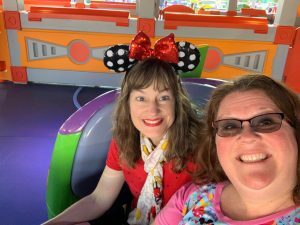 Recently Karen and Alyssa, two of our wonderful Kingdom Magic Vacations Travel Planners shared their top 5 tips for everything you need to know about what to bring in your Disney park bag! 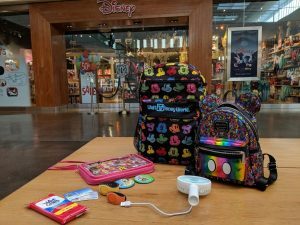 They detail the importance of picking the type of bag you might want to carry and provided us with great tips on how to consolidate and minimize your items when coming to the park. I loved hearing what items they recommended bringing to best enhance your day in the parks. They also detail some fun items you need to be sure to grab to add extra magic to your day such as ‘Celebration Buttons’ which you can pick up for free at any of the Disney Parks or Resorts! These two Disney experts have a ton of great Disney bag tips and tricks for you to hear! Check out our YouTube Channel to watch them share their tips in our latest video! 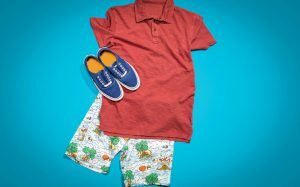 This entry was posted in Disney Vacation, Travel Tips, Vacation Destinations, Video, Walt Disney World, Walt Disney World Resort - Orlando and tagged disney, disney bag, disney packing tips, disney park bag, disney parks, disney travel tips, Disney vacation, disney world, Disneyland, packing for disney, packing tips, travel tips, Walt Disney World on April 5, 2019 by Megan Przychodzien. This July Disney’s Animal Kingdom will introduce a brand-new, family-friendly progressive dinner. 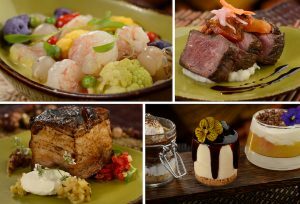 This meal will be a one-of-a-kind dining experience and is sure to be the perfect enchantment to your day at Animal Kingdom! 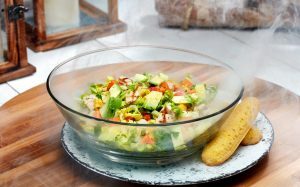 The new dinner will be called, ‘Circle of Flavors: Harambe at Night.’ This meal takes inspiration from African cultures and will celebrate The Lion King! The dinner will also honor some of the most majestic and endangered African animals. This progressive dinner will begin at the Wildlife Express Train Station where you will enjoy a welcome reception! 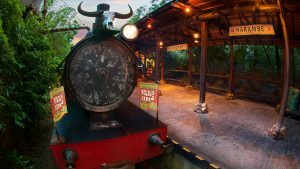 Part of your war-welcome will include a ride on the Wildlife Express Train over to the train station at Rafiki’s Planet Watch! The reception party will feature light hors d’oeuvres, snacks, and beverages. Both alcoholic and non-alcoholic drinks will be included. During this welcome reception, you will enjoy some wonderful acoustic musical stylings. 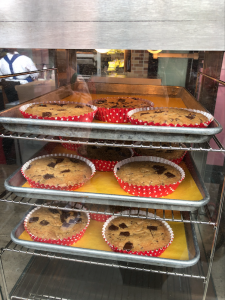 Once you step off the train and arrive at Rafiki’s Planet Watch you will discover even more light bites and drinks! Here at Rafiki’s Planet Watch you will find Timon and Rafiki! 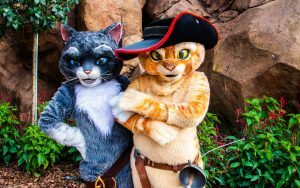 These two lovable character from Disney’s Lion King will be available for character meet and greets and photos! Your dinner will then continue over at Harambe Market! Here you will be greeted by a selection of both sweet and savory dishes, all paired with unique beverages. There will also be a celebration of The Lion King and the Big Five game animals: the African elephant, the rhinoceros, the Cape buffalo, the leopard, and our host animal the lion here. During your evening you will have the incredible opportunity to learn more about the importance of the Big Five and the challenges they face around the world. You will also get to learn how Disney is working to protect them! Such an amazing cause to be a part of! 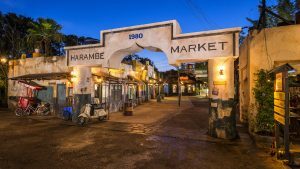 The ‘Circle of Flavors: Harambe at Night’ dinner will begin on July 24, 2019, at Disney’s Animal Kingdom Park. Pricing is $125 plus tax for adults and $99 plus tax for children ages 3-9. Separate park admission is required. Reservations are now available for this amazing new dining experience! Call your Kingdom Magic vacations Travel Planner today to learn more and to plan your amazing summer vacation at Walt Disney World! This entry was posted in Animal Kingdom, Disney Dining, Disney News, Disney Parks, Disney Special Events, Disney Vacation, Vacation Destinations, Walt Disney World, Walt Disney World Resort - Orlando and tagged Animal Kingdom, Circle of Flavors: Harambe at Night, disney, Disney Dining, disney world, disney world dining, disney world food, Walt Disney World on April 5, 2019 by Megan Przychodzien. 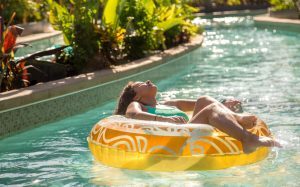 6 Reasons to Plan a Spring getaway at the Universal Orlando Resort! Flowers are blooming, birds are singing, Spring is in the air! Now is the perfect time to plan a spring getaway! 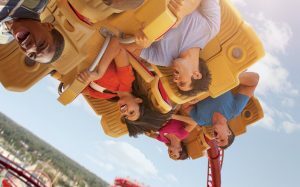 We know the perfect destination for an amazing Spring vacation, the Universal Orlando Resort! 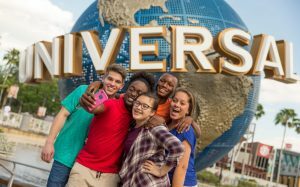 Here are 6 reason you should plan your Spring Getaway at Universal! You can fill your Instagram with awesome pics from all of your Universal Orlando adventures! With low crowds in the parks this time of year you can grab some amazing shots with no people in the background of your photos! Send your pics to your family and friends back home to send a little Florida Springtime sunshine their way! Year round, the state of Florida is known for its beautiful warm weather. After all they do call it “the sunshine state” for a reason! However, this time of year the weather is particularly great because it’s not too hot compared to the middle of summer. For some states up north, we are still feeling the cold so a Florida vacation can be a great way to get an early taste of spring! The great thing about this time of year, is the fact that the Spring break rush is already behind and the summer crowds have not yet come. These spring months are a wonderful time to experience the Universal Orlando parks with much lower crowd levels. Low crowds will allow you and your family to see and do more of the things you want to do! The warm weather can provide the perfect opportunity to kick back, relax and soak up that beautiful Florida sunshine. You can hang by your Universal Resort pool or visit Universal’s Volcano Bay water theme park if you are looking for some refreshing fun! Once again, the parks are not as crowded this time of year. So what does that mean as far as wait times? The low crowds mean you will definitely notice all the wait times and lines to be significantly shorter compared to peak travel times. Low waits mean you can experience more rides and more fun during your trip! Enjoy All the New Things! If you have not visited the Universal Orlando Resort recently then you are in for a real treat! There have been so many new rides, attractions, restaurants and experiences that have been added to Universal property! 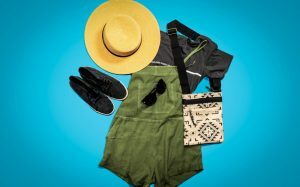 Your Spring getaway trip is the perfect time to check all this new stuff out! Contact your Kingdom Magic Vacations Travel Planner today to plan your next visit to the Universal Orlando resort or to whatever travel destination you are dreaming of visiting next! 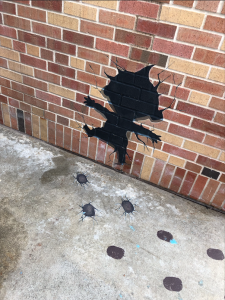 This entry was posted in Islands of Adventure, Universal Orlando Resort, Universal Studios Orlando, Vacation Destinations and tagged islands of adventure, Universal, universal orlando resort, universal studios, universal studios florida, Universal's Volcano Bay, Volcano Bay on April 5, 2019 by Megan Przychodzien. 5 Movies You Didn’t Know You Could Experience at the Universal Orlando Resort! From its very beginnings, Universal Studios has been known as the theme park destination where you can “Ride the Movies!” At the Universal Orlando Resort, you can step inside of the movies and become part of the action! 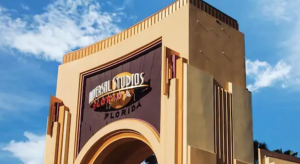 You are probably aware of the fact that films such as Harry Potter and Jurassic Park can be found at the Universal Orlando Resort, but today we are going to look at 5 films that you may have not realized you can experience at the Universal Orlando Resort. Are you ready to boogie with your favorite character from Trolls? You can take a family photo with Branch, Poppy and the newest member, Guy Diamond! 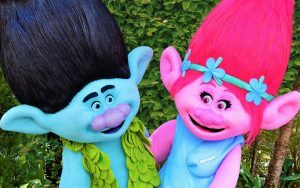 You can also see these guys star in Universal’s nighttime lagoon show, Universal Orlando’s Cinematic Celebration. 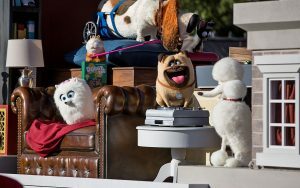 You can see the stars of The Secret Life of Pets everyday in Universal’s Superstar Parade! During select times throughout the day, you can even get up close and talk with the pets as they pull the parade float out in the Character Party Zone across from Mel’s Drive-In. You can also check out The Secret Life of Pets merchandise to take home a piece of your favorite film! You can find everything from t-shirts to stuffed animals! 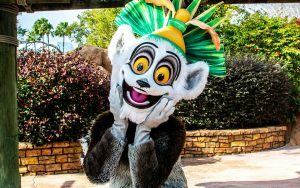 You can have the opportunity to meet the popular characters from Madagascar, including the Penguins, Alex the Lion and King Julien. Additionally, you can get the chance to see them and the rest of the Madagascar crew every winter in Universal’s Holiday Parade featuring Macy’s! 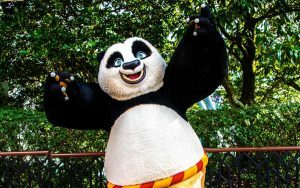 You can show off your Kung Fu moves with Po from Kung Fu Panda! You will also have the chance to pick up fun merchandise in the Universal Studios Stores! Many may know about Universal’s attraction, Shrek 4-D! This is a top attraction at the park! However, did you know you can meet Shrek and Donkey’s friend Puss in Boots? Puss in Boots even does meet and greets with his companion Kitty Softpaws! Contact your Kingdom Magic Vacations Travel Planner today to plan your next visit to the Universal Orlando Resort or to whatever destination you may be dreaming of traveling to next! 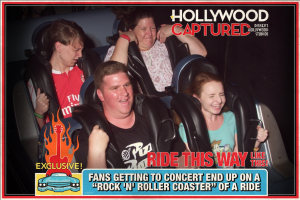 This entry was posted in Islands of Adventure, Universal Orlando Resort, Universal Studios Orlando, Vacation Destinations and tagged Florida, islands of adventure, orlando, Universal, Universal Orlando on March 28, 2019 by Megan Przychodzien. 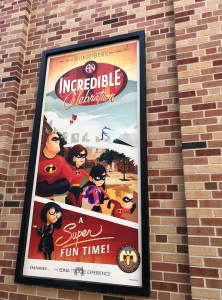 Celebrate with the Incredibles at Pixar Place! NEW Experience at Hollywood Studios at Walt Disney World! 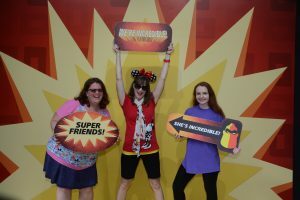 If you are a fan of Disney Pixar’s Incredibles than you need to head over to Disney’s Hollywood Studios to experience the Incredibles Celebration at Pixar Place! This exciting new area in Hollywood Studios is themed to Municiberg, the city the movie takes place in! Here you will find unique character meet and greet opportunities, delicious treats, photo ops and dance parties! Pixar Place is the section of Hollywood Studios that was previously the entrance to the Toy Story Mania attraction. The area was themed completely to Toy Story with the ‘Barrel of Monkeys’ monkeys strung across the street and green army men roaming around. When Toy Story Land opened the entrance to Toy Story Mania was rerouted into the new land and Pixar Place was walled off as a backstage area. Upon this transition, many theories and rumors began to swirl around regarding what Disney was going to do with the future of Pixar Place. Would it remain behind walls forever as a backstage area or would the area be used for a new experience? Well it didn’t stay behind walls for long! 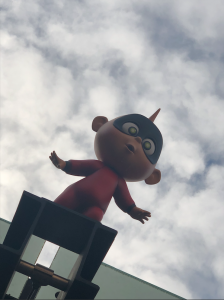 Pixar Place is back and now is dedicated to celebrating all things Incredibles! Here are some of the things you can look forward to in the new, revamped Pixar Place! You can show off your best dance moves during a dance party hosted by an emcee. The party features fun music, interactive games and special appearances by Mr. Incredible, Mrs. Incredible and Frozone. 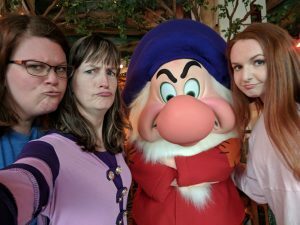 This is a great time to meet these popular characters that you typically don’t see in the parks and have the opportunity to take pictures with them as well! Here in Pixar Place you can meet Edna Mode, the stylish and very sassy fashion designer from the Incredibles films! Your experience will begin by visiting Edna Mode’s Super-Suit Gallery. As you wait in line you can see some of the famous designer’s most popular creations! Then you get to actually meet Edna herself and take some incredible photos! Throughout Pixar Place you can find food and beverage items themed to the Incredibles! There are some amazing snacks that can be had here including my personal favorite the Num Num Cookie! 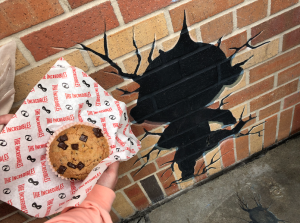 If you are a fan of the Incredibles films then you will know that the “Num Num Cookie” is also Jack Jack’s favorite treat! The characters often use the famous “Num Num Cookies” to reward Jack Jack or bribe him! 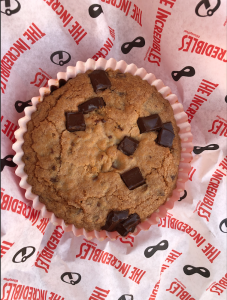 Now you can try a Num Num Cookie for yourself! These cookies are massive, they are definitely sharable! The cookie is served warm, it truly melts in your mouth! A few days after visiting with my family I actually went back to the area with two of our INCREDIBLE Travel Planners, Alyssa and Karen! We had a blast taking photos with the fun photo ops that the area has! There are so many new and exciting experiences to be had every day at the Walt Disney World Resort! 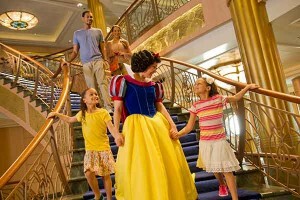 Contact your Kingdom Magic Vacation Travel Planner today to plan your next visit! Our team is ready to make your next vacation INCREDIBLE! 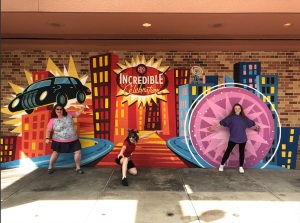 This entry was posted in Disney Attractions, Disney Dining, Disney Special Events, Disney Vacation, Hollywood Studios, Walt Disney World, Walt Disney World Resort - Orlando and tagged disney parks, disney world, hollywood studios, incredibles, Walt Disney World on March 28, 2019 by Megan Przychodzien. 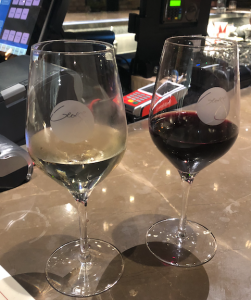 In the heart of Disney Springs, you will find Wine Bar George, an estate-style wine bar offering over 130 wine selections from acclaimed wineries and up-and-coming regions. All of these exquisite wines have been hand-selected by Master Sommelier George Miliotes. Wine Bar George is a great spot to relax and enjoy the evening while at Disney Springs! 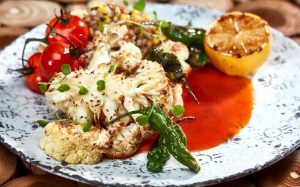 In addition to the wines on the menu, this location also offers a variety of tapas-style food offerings to compliment your beverage of choice. There is plentiful seating both downstairs, upstairs and even an outside balcony patio where you can overlook Disney Springs as you enjoy your specialty wine! 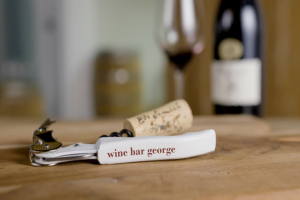 I have visited Wine Bar George once and had a wonderful experience. We stopped in towards the end of our night at Disney Springs just to unwind and enjoy a glass of wine before heading back to our resort. 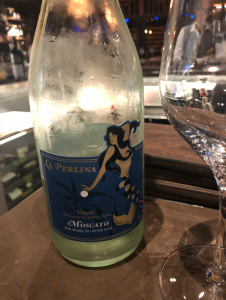 I enjoyed a glass of the La Perlina, a moscato from Veneto, Italy. The staff was so welcoming and very knowledgeable. They took their time with us and found out what we enjoyed and then made suggestions for what we would enjoy. Whether you are a wine aficionado or a novice, this place is very approachable! I can’t wait to go back to Wine bar George in the future! 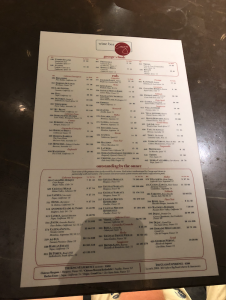 As I mentioned we just stopped in for a quick drink, on my next visit I would love to try some of the other menu offerings and have the full experience of everything Wine Bar George has to offer! On that note… there is actually a brand new and exciting addition coming to Wine Bar George… brunch! I am ready to check this experience out! Here is what we know about this new offering coming to this wonderful establishment! 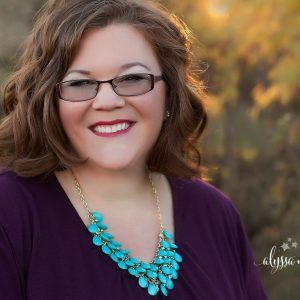 I am so thrilled about this announcement! This exciting new experience will begin on March 30th. On Saturdays and Sundays from 11 AM-3 PM you will be able to partake in this brand-new Wine Country Brunch! The menu will include starters, boards, main plates, sweets and sides. 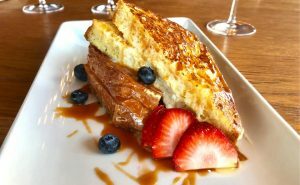 Menu items will include late-morning staples such as Brioche French Toast, Steak and Eggs, Biscuits with Sausage Gravy and Eggs Benedict. These items will all be accompanied by Wine Bar George’s extensive selection of wines from around the world! The item on the brunch menu that has everyone buzzing is the Dole Whip Mimosa! That’s right! Wine Bar George is taking the iconic Disney Parks snack, the pineapple Dole Whip and creating a one-of-a-kind mimosa drink! As a huge fan of the Disney Dole Whip, I am so excited to try this new mimosa! What I am Excited to Try! Here are a few of the menu items that I am most excited for! I already mentioned how pumped I am to try the Dole Whip Mimosa! I have a feeling that this will be a fan favorite at the Brunch! I am also interested to try the Wine Country Omelet. This omelet includes an artichoke asparagus olive and tomato medley! I also think that ‘The Big Board’ sounds awesome and would be perfect to share! 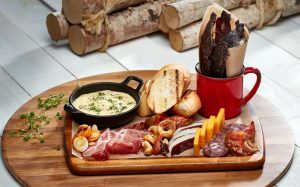 This board features a Chef’s selection of six artisanal cheeses and five crafted meats with condiments. 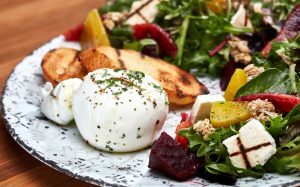 This brand-new brunch at Wine Bar George is sure to be an awesome new addition to the great lineup of dining experiences at Disney Springs! 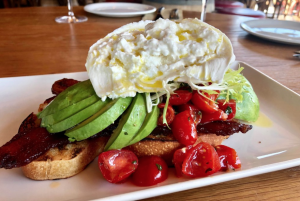 I will definitely be checking out Wine Bar George’s Wine Country Brunch very soon! When you are ready to plan your next vacation to the Walt Disney World Resort be sure to contact your Kingdom Magic Vacations Travel Planner. Our knowledgeable and passionate team is excited to help you plan the trip that you have been dreaming of! 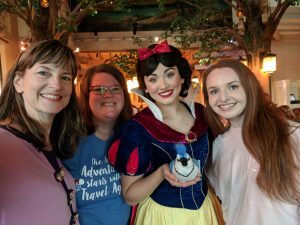 This entry was posted in Disney Dining, Disney Parks, Disney Restaurants, Disney Springs, Disney Vacation, Walt Disney World, Walt Disney World Resort - Orlando and tagged Disney Dining, disney parks, Disney Springs, disney world, Walt Disney World, wine bar, Wine Bar George on March 28, 2019 by Megan Przychodzien. 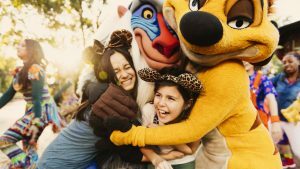 Rafiki’s Planet Watch Reopens this Summer at Disney’s Animal  Kingdom Featuring NEW Lion King Celebration! Last fall Rafiki’s Planet Watch closed down at Disney’s Animal Kingdom Park. At the time of the closure we were unsure if the closure would be permanent or if it was just a refurbishment or if the area would be reimagined to a brand-new land! Disney was very quiet about the closure of this area and many of us Disney park-goers quickly became very curious as to what was going on! Rafiki’s Planet Watch is an oasis within Animal Kingdom Park, this area can only be accessed by train. Guest board the Wildlife Express and make the peaceful journey over to Rafiki’s Planet Watch. Along the way, you get to see many of the backstage areas of the park including many of the animal’s housing areas! Once you pull into the station at Rafiki’s Planet Watch you walk down a pathway lined with trees and beautiful foliage. Along the way, you can take in many exhibits with various animals! Towards the end of the pathway you will come to Conservation Station. 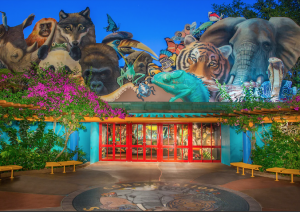 This building is home to many exciting things from meet and greets with Disney characters to encounters with a variety of different animal species. Throughout the day, Disney Wildlife Experts will bring out everything from birds to snakes and allow guests to get up close with these amazing creatures! What is really incredible about this hidden gem at Animal Kingdom is the fact that Conservation Station is connected to Disney’s on site veterinary hospital. 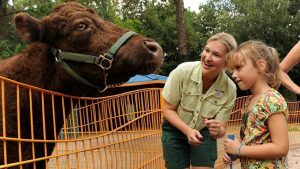 If guest want they can have the opportunity to watch the Disney veterinarians work in the labs and operating rooms through glassed in viewing areas. In addition to these many educational opportunities Conservation Station is also home to many interactive activities and animal exhibits! Another amazing area of Rafiki’s Planet Watch is the Affection Section! 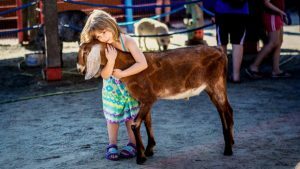 This area is a giant petting zoo where guest can interact with all animals from goats to donkeys! This is so much fun for visitors of all ages! As you can see Rafiki’s Planet Watch is a really special place within Animal Kingdom, that’s why many became so curious when the area was closed down last fall. Well now we know what is happening! Disney has made it known that the area is not going away and in fact guests will be able to start visiting it again very soon! There are some exciting enhancements that will be added to Rafiki’s Planet Watch upon it’s reopening! Rafiki’s Planet Watch will still include the animal encounters that we all love, as well as new experiences that will draw from Disney’s rich heritage of wildlife animation, featuring a celebration of “The Lion King.” I am very interested to see what new features and offerings will be added into Rafiki’s Planet Watch for this Lion King celebration! 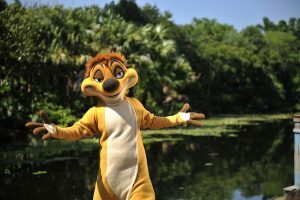 I am excited that Rafiki’s Planet Watch will be back for guests to visit, this place is so special and serves as a great spot where our guests and cast members can connect to the magic of nature and see the importance Disney places on animal care and conservation! Contact your Kingdom Magic Vacations travel planner to plan your next visit to the Walt Disney World Resort or to any destination that you are dreaming of visiting next! This entry was posted in Animal Kingdom, Disney News, Disney Parks, Disney Special Events, Disney Vacation, Walt Disney World, Walt Disney World Resort - Orlando and tagged Animal Kingdom, disney, disney parks, disney world, disney world resort, Walt Disney World on March 23, 2019 by Megan Przychodzien. 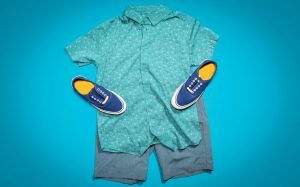 Outfit Ideas for Grad Bash at the Universal Orlando Resort! Spring has officially arrived and that means we are also approaching the end of another school year for students across the country! This is an exciting time of year for students as they begin to anticipate summer vacation! For high school seniors it is even more exciting as they begin to anticipate graduating and embarking on an exciting new chapter in their lives! Your high school graduation is a huge milestone that is so worth celebrating! You are entering the start of a brand new life journey! 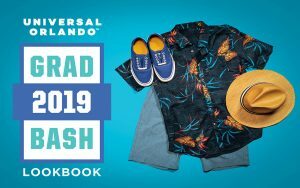 The Universal Orlando Resort has the best way for you to celebrate this special time – Grad Bash! Grad Bash is a special event put on by Universal each year. High school seniors come from all over, to join together in celebrating their upcoming graduations during the incredible rite-of-passage event –– Grad Bash! 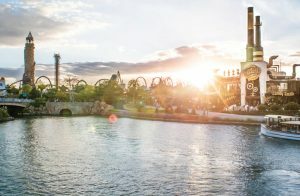 Seniors get to enjoy exclusive access to the parks and make memories with their friends during this once-in-a-lifetime celebration at the Universal Orlando Resort! Grad Bash is right around the corner so now is the time to start planning! It is important to note that the event has both enforced event and school dress codes. That’s why planning ahead for your look for the night is so important and also so fun! 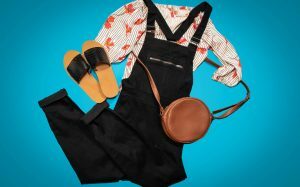 We all love picking out that perfect outfit! There will be many opportunities for Instagram pics of course! 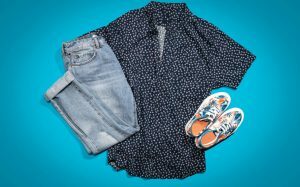 To help you get fashion-inspiration, here are 8 different looks for your Grad Bash outfit! All of these follow the dress code guidelines for the event. 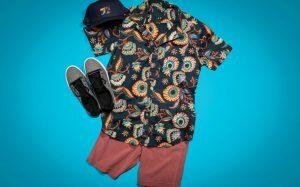 You can unleash your wild side with these looks inspired by Jurassic Park. Be sure to Check out the Jurassic Park River Adventure Ride while visiting the park! We have all always dreamed of being a rock star! These looks will help you channel your own inner superstar! The classics are always a great go-to! Being comfortable is essential in order to make the most of your time at the event! There is a lot to see and do and lots of walking. Before you head to the Universal parks, start the celebration early at the exclusive CityWalk Pre-Party! 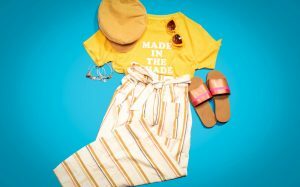 Dress for the occasion with these CityWalk inspired looks! You may be graduating but know that we are all always kids at heart! 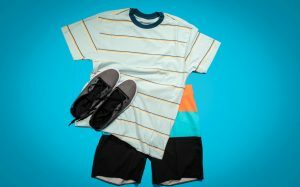 Become a kid again in your KidZone inspired look. Then be sure to check out KidZone in the park! Over at Universal’s Islands of Adventure you can visit The Lost Continent. You yourself can embody this ancient and timeless hidden realm with these adventurous looks! After graduation you will be embarking on new expeditions in life, it’s only fitting that you look the part! 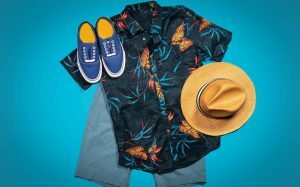 Embark on your new journey with looks inspired by Skull Island: Reign of Kong. 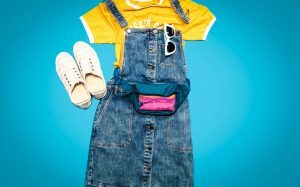 If you are dressed like a minion already it will make the process of becoming a minion at Despicable Me Minion Mayhem even easier! Even Gru would approve! 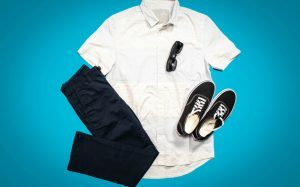 These tips are sure to have you styling’ at Universal Grad Bash! Contact your Kingdom Magic Vacation Travel Planner today to plan your next visit to the Universal Orlando Resort and to get more information about Grad Bash! This entry was posted in Islands of Adventure, Orlando News, Universal Orlando Resort, Universal Studios Orlando, Wizarding World of Harry Potter and tagged grad bash, islands of adventure, Universal, universal grad bash, Universal Orlando, universal studios, universal studios florida on March 22, 2019 by Megan Przychodzien. It is safe to say that Epcot is one of my all-time favorite parks at Walt Disney World! I love everything this park embodies, from the spirit of innovation in Future World to the spirit of travel in the World Showcase! Not to mention that throughout the year Epcot hosts several different festivals and events so there will always be something new to discover and enjoy! Yes, I think it is safe to say it is MY FAVORITE PARK! 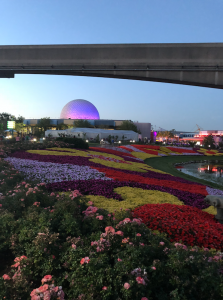 Recently there has been a lot of announcements surrounding the future of Epcot! There are many new additions such as new attractions and dining experiences being added to the park as well as some intriguing changes that will be made to some existing sections of the park. If you have been to Disney World recently you know that Hollywood Studios has been going through a massive overhaul with the addition of Toy Story Land and the very soon to be Star Wars Galaxy’s Edge! Hollywood Studios now feels completely refreshed and the way I see it, with the announcements Disney has made it would appear that Epcot seems to be next on the list to receive a major revamp! At D23 several years ago Disney announced several big additions including Toy Story Land, Galaxy’s Edge and Magic Kingdom’s Tron Coaster. 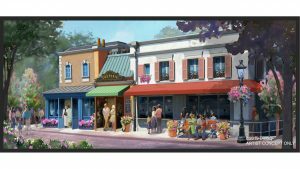 Toward the end of that presentation Disney officials very briefly mention a reimagining coming to Epcot and they showed the following Blue Sky concept art. However, with all the other changes that were happening first they really didn’t give too much information about this future for Epcot. All this time myself and many other fans have been wondering when we would hear and know more about what will be coming to Epcot! Well now we are starting to find out those details! Epcot is going to see several exciting enhancements in the coming months and years! 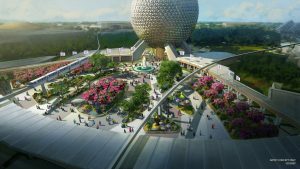 Today I am excited to share with you what we have known and what has recently been announced for Epcot’s future! Back at that D23 presentation that I mentioned we saw that piece of concept art that got everyone talking! Here you see the main hub of Epcot Future World and if you are familiar with that section of the park you would know that the scene proposed in this image is drastically different! First off, the iconic Fountain of Nations appears to be gone. Additionally, the large Innoventions buildings on both sides of the hub area are also completely gone. What I think is exciting about this image is the landscaping and the way that the area truly looks like a futurist city! 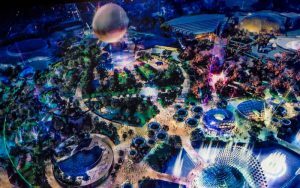 This to me looks very reminiscent of Walt Disney’s original vision for Progress City which served as the inspiration for Epcot! Disney has still been quite about these changes but it is becoming highly rumored recently that the Innoventions buildings will soon be on their way out to make way for new plans. Very interesting! About a week ago Disney did officially announce that the front entrance of Epcot will be revamped and they shared their concept art for this project! I am a big fan of their vision for the renovations to the entrance! I like that they are moving the leave-a-legacy plaques and bringing in more landscaped areas. The entrance area looks a lot more open and very pretty! I can imagine this will allow the Disney Landscaping team to get even more creative with their front entrance displays for the various festivals! A brand-new Guardians of the Galaxy attraction will be coming to the area of Future World that once housed Ellen’s Energy Adventure! They are also bumping this area out to make for a very immersive new section of the park that will transport guests into the Marvel Universe! We don’t know too much yet about the attraction coming in here but we do know it will be along the lines of some type of a roller coaster like attraction. Adjacent from Test Track will be a brand-new restaurant themed to outer space! 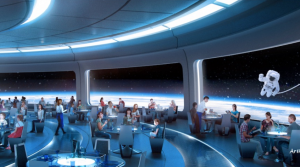 The restaurant will feature large windows showing scenes from outer space! This is going to be a very unique dining experience! I can’t wait for Disney to release more details about this restaurant! Ratatouille is one of my favorite Disney Pixar movies so I have been so excited about the fact that we are getting a brand-new attraction based on Ratatouille coming to Epcot’s France Pavilion! 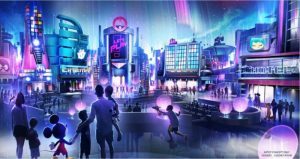 This attraction will feature a state-of-the-art trackless ride system! 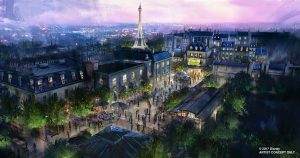 With the addition of Remy’s Ratatouille Adventure, we will also be receiving a new extension to the France Pavilion itself featuring new side-streets and areas to explore! The concept art looks beautiful. Recently Disney also announced that one of the new additions to this France Pavilion expansion will be a brand-new Crêperie that will serve both sweet and savory crepe creations! 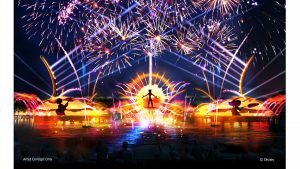 Epcot’s Nighttime Spectacular IllumiNations: Reflections of Earth will be coming to an end at the end of this year to make way for a brand-new Nighttime Spectacular! I personally am very excited for this new show update. As much as I love IllumiNations, I am excited to see what Disney has up their sleeve with this new fireworks spectacular! We know that the new show will showcase how Disney music plays a role in cultures around the world! Before the new show premiers there will first be a limited-time show called ‘Epcot Forever’ which will pay tribute to the classic Epcot! I can’t wait to see that! To hear more about the new additions and changes coming to Epcot watch our new YouTube video! Contact your Kingdom Magic vacations Travel Planner to book your next adventure to Walt Disney World or to whatever destination you are dreaming of visiting next! Our knowledgeable team is excited to help your vacation dreams become a reality. This entry was posted in Disney Parks, Disney Restaurants, Disney Vacation, Epcot, News, Video, Walt Disney World, Walt Disney World Resort - Orlando and tagged disney parks, disney video, disney world, Epcot, video, Walt Disney World, youtube video on March 22, 2019 by Megan Przychodzien.